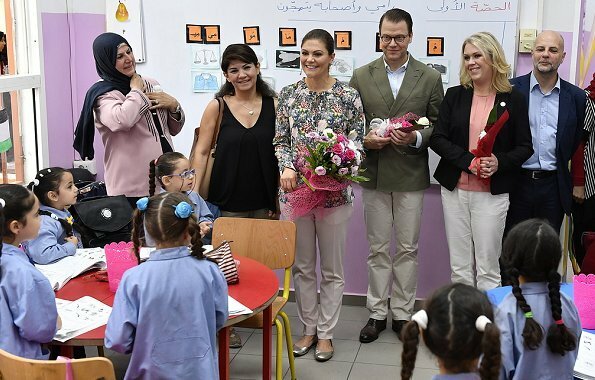 The second day of Lebanon visit of Crown Princess Victoria and Prince Daniel of Sweden began with visits to Palestinian refugee camp Bourj el Brajne and Yarmouk Elementary School for Girls. 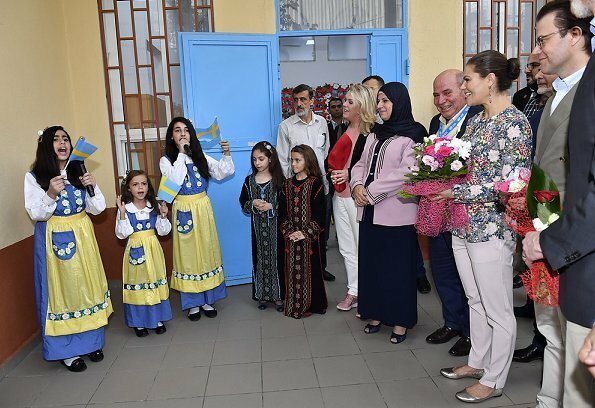 The school is managed by UN Aid Association for Palestinian Refugees. 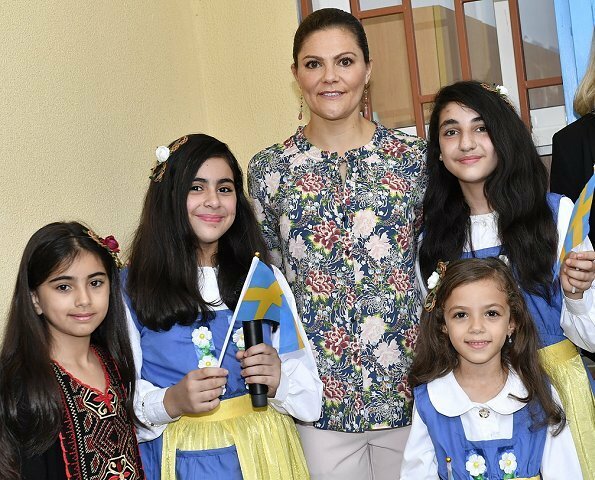 At the school, Crown Princess Victoria and Prince Daniel visited the classes of 1st and 6th grade students. 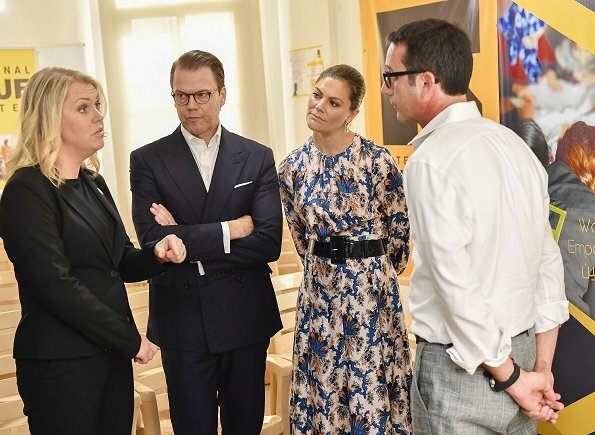 Afterwards, Crown Princess Victoria and Prince Daniel of Sweden visited The International Rescue Committee (IRC). 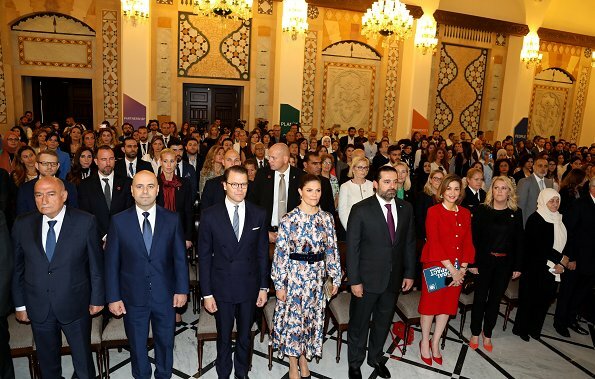 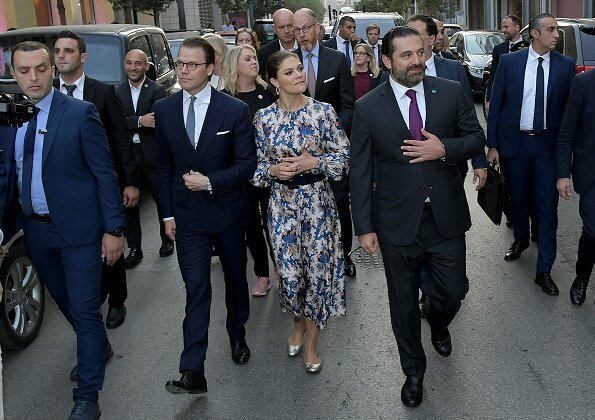 Then, Crown Princess Victoria, Prince Daniel and Prime Minister Saad Hariri attended the conference "Lebanon Multi-Stakeholder SDG Forum" at Grand Serail in Beirut. 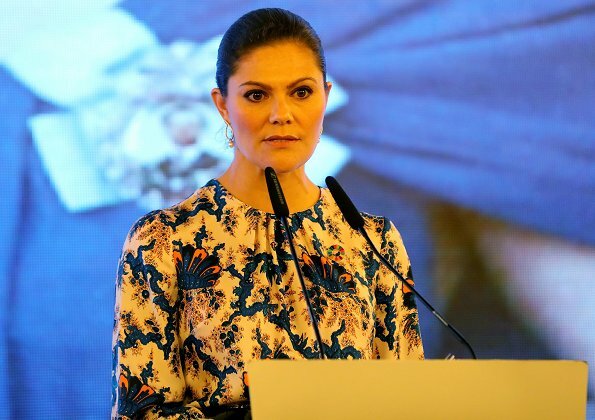 Crown Princess Victoria gave a speech at the conference. 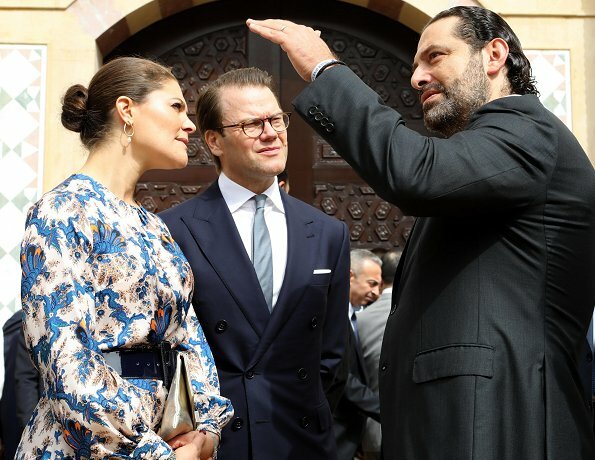 Afterwards, Prime Minister Saad Hariri gave a guided tour in Beirut Souks for Crown Princess Victoria and Prince Daniel of Sweden. 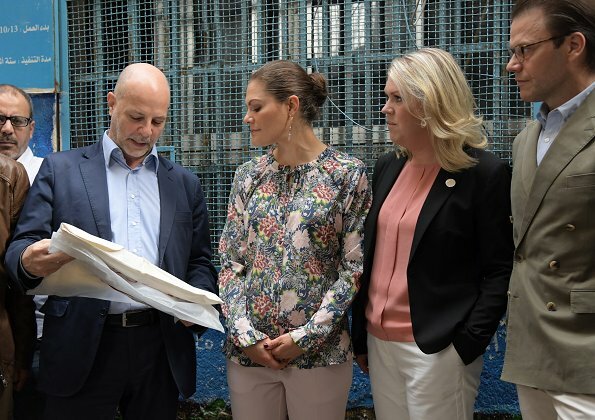 Always hard at work. 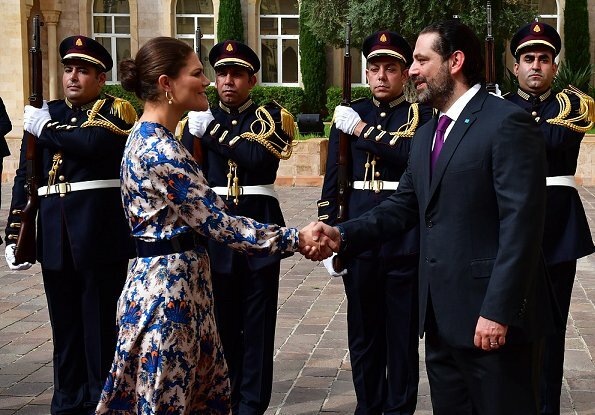 Love both outfits of CP Victoria. 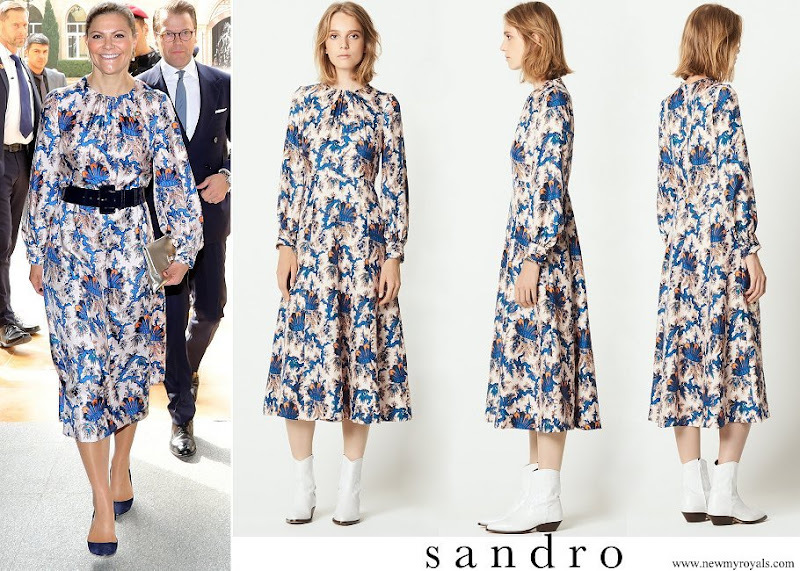 Her pants and top are spot on for the event, love the dress too maybe a different belt would make the dress better. 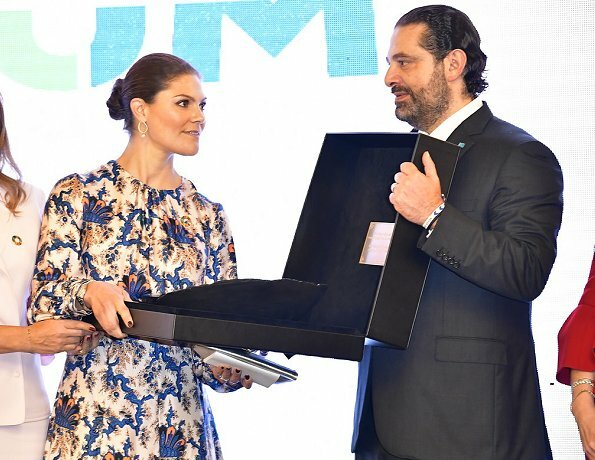 Daniel looks good to. 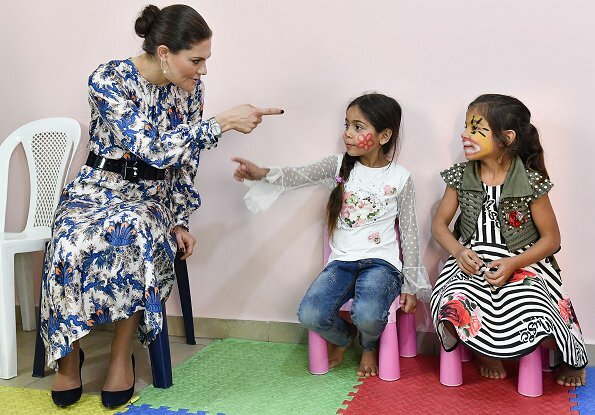 Victoria looks scared or at minimum concerned in pics 4 & 5. 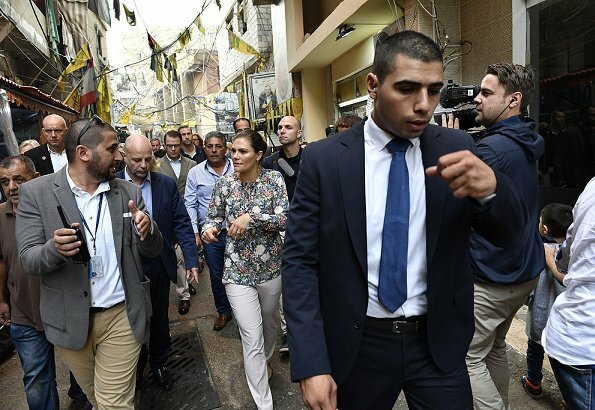 Some strange looking men around her. 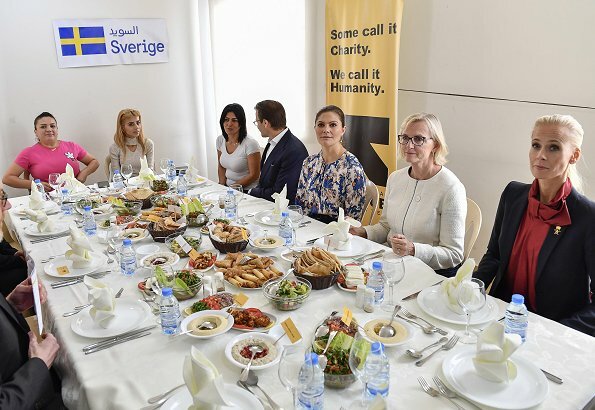 Better than previous day, the dress here is nice.